Hey folks Drew here and today we are going review Ecom Challenges by Thaddeus Strickland or "Thaddy" as known on his Youtube channel. I picked up the course so let's jump in to see if this is a purchase you should consider. 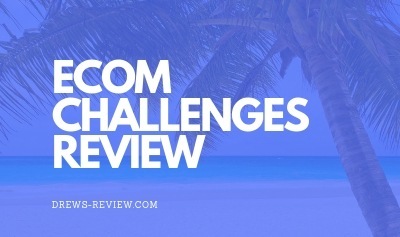 Ecom challenges was first introduced in early 2018 and is available for purchase for $333. There are no discounts available, at least that I am aware of. The course claims you will learn now to earn "tens of thousands of dollars" in sales with Thaddeus' approach to ecom. Thaddy has a pretty impressive following with just under 34,000 subscribers at the time of this writing. He does a great job with marketing videos in his flashy cars, travel lifestyle and lots of bling to boot. The video quality in his promotional videos is clearly professional so he really works on promoting his personal branding. His content on his channel focuses on things like different business models to get into, myths about dropshipping, how to get Instagram followers, branding and more. He won't give away too much on his channel and for good reason because he needs to keep some of his 'secrets' for his course. There are 25 modules in the course and that might seem like a lot, but some modules only have a couple videos. In total though, there's about 100 videos. Here Thaddy does a quick intro welcoming you to the course, You're asked to join the Facebook group and exclusive live chat group. It's encouraged to post your first earnings and a good place to get questions answered should you get stuck. Here Thaddy shows you how he set up his first successful Shopify store that earned him over 2K a day. You'll also learn website creation methods which included setting up your widgets, getting a theme and more. This module discusses the programs that you should be using with your store. Facebook is discussed here in regards to launching ads for the purpose of testing at scale. You'll also learn how to capture leads & automate your revenue. Four videos in this section tell you how to ensure your products will sell. There is some AliExpress training where you can use their data to research products as well as using Google Trends. A couple of videos here on Instagram influencers and advertising. You'll also learn how to promote and learn techniques to advertise on the Instagram platform. A very short module on how you can make your images look better than the stock images you find on AliExpress. Also discussed is product life cycle. Remember that most of the stuff you will be promoting all has a lifecycle unless it's an evergreen product - which is super competitive. 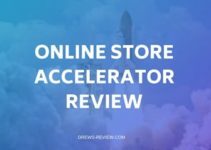 Here you will learn how to fulfill your orders, there's a video on Instagram funnels, pricing strategies for your store and a video on learning when your product is ready to scale. This module covers some damage control items like what you should do if your products or your site is not converting. There's also vidoes on the differences between what influencers were like in the past compared to now - hint, they are a lot greedier now I can tell you! Also discussed is a new way to find the right influencers for your store. These modules focus on making your site look better, free + shipping offers, training on Influencers that are popular and Q4 training - Xmas, Kwanza, etc. Here Thaddy has a secret guest where they discuss Facebook strategies. Included is lookalike purchase tactics on conversion and the four steps of the Facebook funnel. You get a lesson here how to take product photos for your store for less than $10. Also included is a lesson on editing products with white backrounds. If you're into photography already you probably won't get much from this module but noobs will. Six videos in this section covering everything from showing you how to create great quality photos, editing techniques, an overview of design cues and getting your dimensions right. If you've never done any photo editing before this section will definitely help you create better images for your ads and also on your store. A very quick module with two videos on getting around the Shopify holds and payment integration. Here you will learn about the different types of Facebook ads available. Covered topics include carousel ads, retargeting, custom audiences, dynamic product ads and lookalike audiences. If the majority of advertising you plan on doing is with Facebook, it's pretty limited what you are going to learn here. Learning about the different ad types is one thing but being successful at it requires much more training. Thaddy discusses his "Bull Rush Technique" in these videos along with "The Magnificent Debut". Tactics for these strategies are revealed and how to excel with them through data analysis. These two modules focus on a "secret App" that Thaddeus uses to get more sales and gives you an idea what you can expect revenue wise. Also discussed is scaling, some proprietary software that makes Facebook simpler to use. You'll also learn about outsourcing and when it's time to pass off work to others. These 3 modules focus on Influencers from these two platforms and gives you an example of a friend who made a lot of money using IG influencers. You'll also get a breakdown on finding, contacting and evaluating FB & IG influencers. Module 22 shows you how to effectively use Instagram with automation, how to use hashtags properly, how to avoid shadowbans and more. You'll also learn how to create highlight logo's and covers. The course wraps up with the last few modules on how to get free traffic from influencers and creating auto-comments. 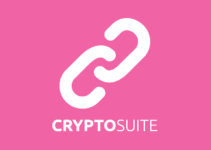 You'll also get access to Thaddy's personal connections where you can get help with your Facebook Ads and scaling. In the bonus section you'll get access to his directory of USA drop shipping companies, his top 500 site list, a list of 30 top Instagram influencers and some presets for mobile and desktop that you can use on his store. The content in this course is not bad but it really seems to give you an overview on just so many areas. Yes the tactics are worthy to mention but I didn't see anything groundbreaking as far as content goes. A lot mentioned in the course can be found using a quick Google search. Also, the Facebook training is very lightweight and not nearly in depth when comparing it to a course at a similar price point like eCom Elites.with other 170 training videos. You also won't get training on Google Ads, Google Shopping, bots or email training. While I can't knock his training because he does cover some good stuff, it's not a complete course like Ecom Elites. 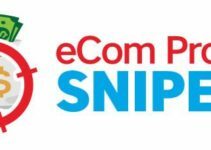 I encourage you to take a look at my review on eCom Elites for yourself to see what you get in comparison. This might be a much better option for you. Some good strategies in this course but for newbies and even more advanced marketers my recommended course should be a much better option.